Writing a philosophical paper is different from writing other papers. This is because it’s just not another research paper. It is also not about your expressions and views or your own personal opinions. A philosophy paper asks you to consider some argument or thesis, probably the thesis or argument that has already been presented by another philosopher. But simply providing information or an opinion is not enough in a philosophical paper. In other words, you have to present an argument - a detailed analysis of facts supporting your statements. Remember, your paper will be read by your teacher who is in an expert in philosophy papers. The paper should consist of reasons defending your claim on your subject. You should really know what you want to state, and then it’s just a matter of writing it down. You have to be very clear about the subject you are arguing for, supporting it with statements and facts, which will provide weight to your argument. A rough idea won’t do in this case. A proper philosophical argument will direct the reader into undeniable logical steps through obviously true premises to an unobvious conclusion. You may be told to perform one or more of the following steps: explain, offer an argument in support of, offer an objection, defend against an objection, evaluate the arguments for and against, discuss what consequences it might have, determine whether some other thesis or argument commits to it or decide whether some other view can be held consistently with it. Apart from these steps, your paper should also meet the following structural requirements. Start work early, as extensive reflection is required to write a philosophical paper. This requires a great deal of preparation and so, it is advisable to start early rather than wait and think. It is advisable to jot down all ideas that you have sketched in your mind on a piece of paper for preparing a rough outline. The outline forms the basic structure of your paper and provides building blocks for it. Before starting to write, it is advisable to read all relevant documents carefully, though you might have probably gone through them earlier. It is again recommended to provide some time to thinking process in respect to the question itself. You have to make sure that what you are going to write is relevant to the question. You need to conceive the whole idea first and then start writing. The best way is to address the question and then be sure that your answers are complete. Make sure you have answered each part of the question. You should not pursue tangential issues. Your paper will be evaluated with regards to the question asked. A good essay won’t get you a good grade if it fails to address the questions properly. A philosophy paper normally involves evaluation and exposition. You have to explain the view under consideration in the exposition part. There is a scope for personal philosophy in the evaluation part. But make sure you have a proper explanation. Before you start writing the paper you should be able to state exactly what you are trying to establish. Now you need to chalk out a road map to establish that your thesis is correct. Your approach should be of logical persuasion. You need to make the reader understand your point of view and thus, it won’t be wise to assume about your reader. Think that your reader is constantly asking questions about accepting your point of view that you are trying to establish, in other words, put yourself in the position of the evaluator. Anticipate objections that your critics can raise against you and be prepared to counter them beforehand. It is not advisable to provide many different arguments, as the reader will find it difficult to relate to so many of them if it approaches the topic from different directions. It will not result in a very good paper. Thus, only compelling arguments should be presented and developed. It will provide a better focus to your paper. Avoid lengthy introductions and quotations. Try to make your point in a few pages. Try to minimize the chances of being misunderstood by the examiner or evaluator by writing clearly and precisely. It is very important to think logically and present them intelligently in the paper. 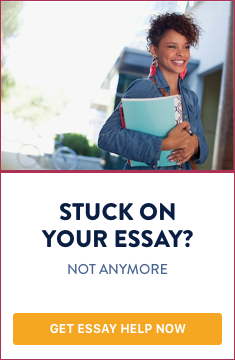 As your reader does not have prior access to your thought process, he or she would be trying to do so only through your essay. Give due credit while quoting or paraphrasing an original writer. Organize your paper carefully. Before you start preparing the points that you would like to argue upon, there has to be a logical progress of thoughts that will help the reader follow. If the progress is smoothly organized, the reader will be led along it naturally, otherwise, the reader might lose interest mid way. Once the outline is determined, you should be able to convey your thoughts in a clear way. Use of proper grammar is essential, such as using proper conjunctions and interjections. Words such as ‘thus’, ‘henceforth’, ‘therefore’, ‘since’ show logical connections. Using such words asserts a relevant connection between the arguments and questions, so you have to use them intelligently. Lastly, check spelling thoroughly as there is no excuse for such errors and will be treated as carelessness. Read it twice, thrice or as many times till you are completely satisfied. Edit it if you feel it is necessary. Do a thorough proofreading at the end. Finally, end your philosophy paper with a smart conclusion. A smart conclusion would not mean summarizing all your results. The reader would have just gone through your paper he or she will recall most of the arguments you have put forward, writing the same thing again will be annoying. Don’t conclude with any empty prediction; find some nice way to wrap up the essay. For example, you can defend a qualified conclusion or something else that will provide a logical ending without an exaggeration. The above-mentioned points will help you write a philosophical paper in a better way.